Valerie, tell us about yourself, the Work in Progress Movement, and how you were called to start it. I could clearly remember when I was in my teenage years; I would write random blogs on my Tumblr. It was my safe space, an extension of myself that is hidden. Writing has been a passion of mine, but as the years went by, I buried the craft somewhere in my heart because I thought it was just "another hobby" or "another interest" for that time. In 2014, just as I got out of my second relationship, I felt lost, and like every lost individual, I asked God what can I do in my life to make a mark for Him. In all honesty, I wanted a specific direction on the next step, but He placed three words in my heart that I now forever carry with me: Help. Inspire. Others. At that time, I had no idea what it meant. Yes, the words meant as easy like ABC, but I didn't know where to begin. So, I did what those three words meant to me. I volunteered at church and led and supported a lifegroup for three years. However, at every end of the year, I felt burnt out and just tired. I am passionate about people, but I always thought that something was missing. In the middle of 2015, a friend of mine started her own blog filled with her devotions and reflection and that inspired me to start my own. I launched two blogs with a lifestyle vibe to it, but a few months after launching, I would run out of words to write and just give up. All those times, the three words were still in my heart, yet the fire only flickered from time to time. 2017 was an eventful year for me. I encouraged myself to read more books and get deeper into God's Word. In that season, I was reading Lisa Bevere's "Without Rival," and when she talked about Job's story of crumbs and crust (Job 45:5-6), it inspired me to create a platform for women to share their testimonies and make these testimonies as stepping stones for women to know more of God. How I was called to this platform is still something that I am left in wonder about as to how He orchestrated all things. But, looking back, there were moments in my life that pointed into this craft and this heart to empower people. "I always believe that we all have the same purpose, and that is to love people just as God loves us. Yet, we are all given different callings and arenas to share and show that love." How do you define “calling”? Calling is a purpose that God placed in your life in use of the gift and passion that He has placed in you from the very beginning. It is about using those gifts to share God's love and letting people know that they are not alone in their struggles. It's a beautiful marriage between using your passion towards the people that God is passionate about. I am also learning that calling is not about the one big destination, but about God could use my passion in the season that I am currently in. Sometimes my calling is to just be vulnerable and have compassion. Calling is found everywhere from the big to the small. No, as of this moment, God has still destined for me to be in this area. If He does change it or give it a little tweak, I believe that it will always have the three words to its core. Yes, it would be frightening to step into new territory, but as I walk with women on what it is like to be a work in progress, I am learning that comfort is the enemy of progress. No, but I see it as not yet. I currently work in a university as an administrator. The position involves different tasks from being at a front desk helping university students' queries to helping in their enrollment applications. However, there is a deep desire in me to hopefully be doing WIP full time. It's not about the money, but it's about the people. To be able to connect with women and cheer for them, and have the time to equip myself in order for me to expand my ways of reaching them. There is far greater satisfaction to be doing what you love and are passionate about in most hours of your day. My biggest joy is learning from other women's stories. Every time I read a submitted testimony, my heart does two things: 1) I am amazed by the courage and boldness of the women who walk through their valleys and are now willing to share their life for others to be empowered; and 2) I am taking in every wisdom within every story as much as I can. Reading these testimonies gives me a vision of women who proudly walk in their identity with God and are always ready to face challenges head on. My biggest learning would come down to the three words that God placed in my heart. I am learning that in order to help and inspire others, I have to first help myself by learning more of God and letting Him use it in me and through me so I can inspire others. This allows me to check my talk to see if it aligns with my walk, and vice versa. It has given me a hunger for His Word both in the Bible and in His people's stories. "The biggest struggle of vulnerability has given me my greatest strength, not just in this ministry, but also in life." It would be to show vulnerability. I grew up with a belief that I have to be strong or at least show on the outside that I am strong. 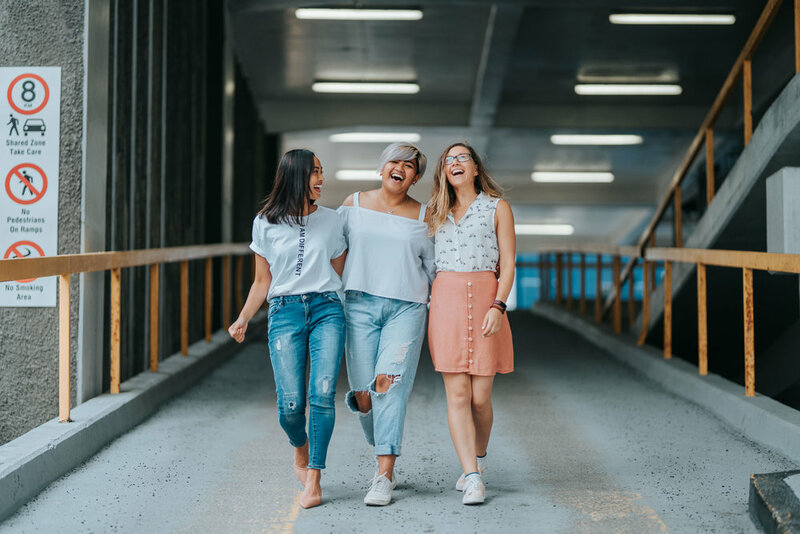 I swallow any form of hurt, pain and shame, or in the words of Taylor Swift, “Shake it off.” As I was living life from my hardened heart, I had a hard time connecting with my friends and other women in my lifegroup. It was then that I realized that no connection will come from this lifestyle. As much as it was (and sometimes still is) a grueling process, I slowly placed my hurts from the shadows into God's light, and He slowly worked on my heart to become softer and fertile. 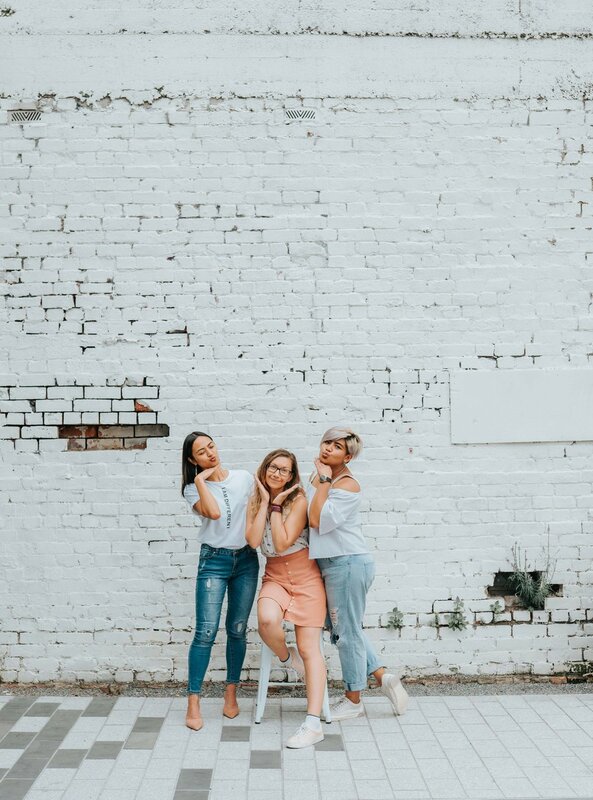 When I started writing again for WIP's launch, I had to go back to that softer heart so I could pinpoint the areas of hurt and healing, and so I could share God's faithfulness to other women. Yes, and it happened at the end of 2017. I was ready to throw in the towel. I felt burnt out and discouraged by comparing my content and blog to other bloggers that are already successful in this calling. I came to a point of questioning that, if God called other women to the same platform, they why does He need another one of me when there are many women who could write better than I could or have greater platforms compared to the one He blessed me with. To be bold and vulnerable. To write articles and reach people from the bottom of my heart. To connect with people by pulling from the wisdom I have learnt and am currently learning in my trials, and to not be afraid to ask for help and show that I am actually struggling. All of us struggle, and we are all struggling to pretend that we do not struggle. One of the greatest weapons that we can use in our lives is our vulnerability. There is so much more beauty in your trials than you will ever know. It is in your trials that your faith is at its peak; you are leaning closer to God so that you are hearing more from Him. ...So if we are all struggling, why not embrace the struggle, go through with it, and come out better, wiser, and stronger than you were before?" Valerie Cabadonga is the founder of Work in Progress | Movement (or the WIP Movement). She enjoys learning from the different stories where God shows His faithfulness. She loves to travel, eat, read and write, and sometimes does it all at once. You can check out her website at www.thewipmovement.com. Connect with the WIP Movement on instagram @thewipmovement. Grab my FREE "Clarify Your Calling Guide"!